On Wednesday, Star Wars: Battlefront II finally received its long-awaited new game mode, Capital Supremacy. It offers a large-scale battle set in the Clone Wars era modelled after the original 2005 Battlefront II’s Conquest mode. While it can be exciting to play, it’s currently held back by matchmaking issues and the fact that there’s only one map. Since the update went live, players have been reporting matchmaking problems on the game’s subreddit as well as the game’s forums. While the types of issues vary, one of the more common ones involves loading into a server that’s already full and being unable to spawn into the game. The only way to fix it is to back out of the match and try again. 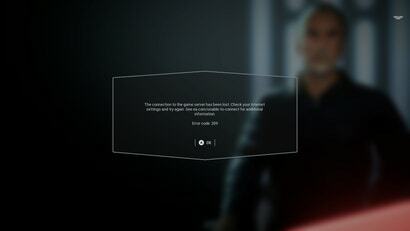 Other players have reported getting disconnected during the middle of matches and being booted back to the main menu. In my own time trying to play the mode on Xbox One, I’ve had success about half of the time. The other half I’ve either encountered the no-respawn problem or been disconnected from the game as soon as a match begins. Once I’m booted back onto the main menu, I get the 209 error code, which supposedly means that my internet connection was interrupted, except that my computer is currently wired directlyinto my router. I tried some other online games in between matchmaking attempts in the new mode and didn’t have any problems with the game’s other modes. On Reddit yesterday, EA community engagement specialist Jay Ingram said the development team was looking into the issue and, in the short term, he recommended players back out of the lobby they’re in and start matchmaking over again if they’re having problems. When asked for comment, a spokesperson for EA pointed Kotaku to a forum post in which the game’s community manager Ben Walke said the issue appears to mostly be affecting players who join mid-match. “Right now we believe this is a less than common occurrence,” he wrote. When I was actually able to get into a match, Capital Supremacy was fun to mess around in. Currently the only map is Geonosis, which is mostly made up of orange rocks. The mode features teams of 20 vs. 20 with an additional 12 units on both sides that are controlled by AI. The result is a flurry of laser blasts going every which direction as both teams fight to take control of up to five different control points. Capturing one of these points will grant a team reinforcements, and once one side gets 50 of these reinforcement fighters, they’ll enter a transport loading phase in order to board the enemy capital ship. 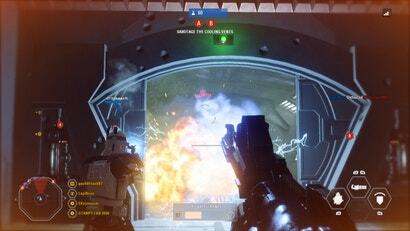 Once there, the objectives are to break through a series of blast doors and then plant explosives to blow up the ship. However, if the enemy team is able to successfully fend of the attack, the battle then returns to the planet’s surface. This creates a tug-of-war where one side can lose progress if they run out of steam, making it important to deploy heroes judiciously. Capital Supremacy, at least on the initial map, ultimately seems to be about replicating the stakes and dramatic light shows of the Clone Wars at their peak. 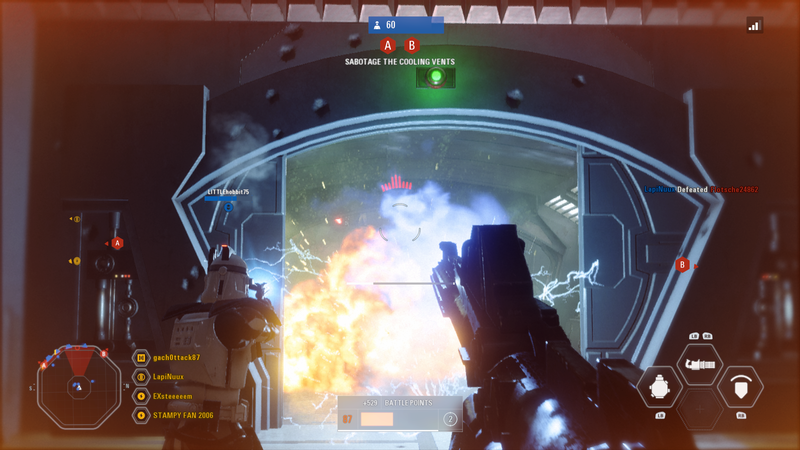 Breaching the blast door to the cooling vent room on a Separatist Dreadnought evokes all the grandeur of the movies, and in some cases feels even more exciting. Watching General Grievous torch both Obi-Wan and Anakin on Geonosis’ surface is way better than their actual meeting in the Star Wars prequels. While the mode is fun, it’s been a long wait for it to only be accessible on a single map. Capital Supremacy was originally teased at E3 2018, with EA sharing a roadmap in October that showed the new mode wouldn’t arrive in the game until February 2019. In mid February, Ingram announced the mode wasn’t ready yet and would instead get added in March. Given the long build-up, it’s hard not to feel a little underwhelmed by Capital Supremacy. In addition to its current matchmaking issues, the mode also has lots of graphical issues on Xbox One, with major textures popping in at different times, even during cutscene transitions. Also, there aren’t a whole lot of options for how to take out objectives. Unlike in the original Battlefront II’s Assault mode, in which players had the option of winning through taking out enemies in dogfights in space or landing on enemy capital ships and planting bombs, Capital Supremacy is purely about pushing to take objectives. 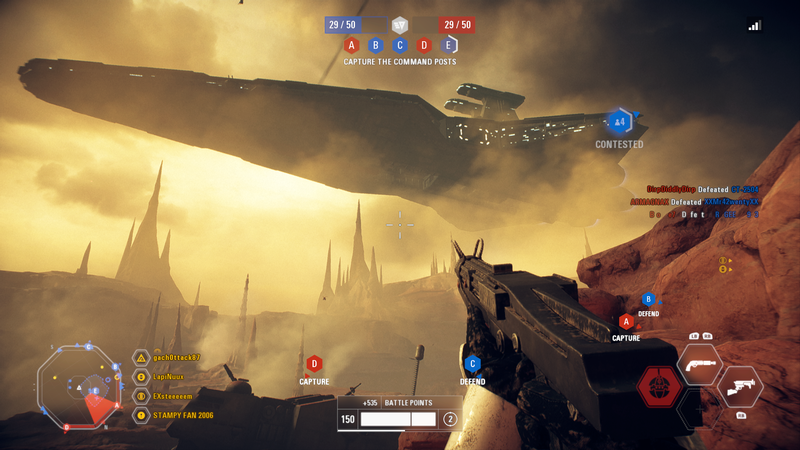 It never seemed likely that 2017’s Battlefront II would get a hybrid mode like the old Assault mode, but the lack of options for taking down enemy capital ships has the potential for it to get old quick. Already, though, EA has put out a hotfix to try and improve the mode. The most notable tweaks that went live today include making the transport boarding period shorter and increasing the hero limit from two to four. This is a godsend for anyone who, like me, has spent several minutes on the respawn screen waiting to snag Anakin. Now, EA just needs to fix the matchmaking issues and, hopefully, add more maps.